We want anyone to get the right services and support at the right time to help their recovery and enable them to live with their mental health problem. We want public services to meet people’s needs, high quality services that are available as soon as they are needed. We want local Minds to lead the way in creating excellent local services, reaching more people across England and Wales than ever before. of people using NHS crisis care services were assessed within 4 hours. mental health trusts have staffing levels well below established benchmarks. of people in crisis got a choice of treatment. It feels like I literally have to have one foot off the bridge before I can access service. I needed a safe place – somewhere where I could not seriously harm myself. Support the crisis teams – if they are in crisis themselves they can’t help us. We wrote to every Clinical Commissioning Group (CCG) in England and raised our concerns. We told them crisis care services were under resourced and over stretched. We asked them to do more to raise the standard of crisis care in their area and commission the things people told us they need. We put our research on our website so people could find out the state of crisis care in their area. emailed their MP to ask them to champion crisis care with their CCG. We reached 40% of MPs in England. said they were aware of our campaign. of them said they wanted to make improvements. Since then, there has been increasing national debate about access to crisis care. Our evidence has been instrumental in promoting a national commitment to change and the beginnings of better local crisis care. Our goal for excellent local services includes our local Minds too. People say they support them in many different ways. The ability to engage with life again. Getting back into paid work. 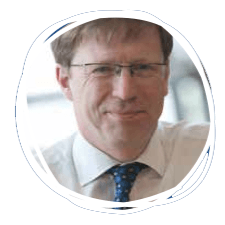 We’re supporting our Chief Executives to work collaboratively to make sure they can continue to deliver excellent services. By coming together and sharing good practice, we are definitely stronger. Tracey Price, Director of Mind in Pembrokeshire and Carmarthen. the Northern Rock Foundation is helping 15 local Minds to develop services and secure new funds. We’re opening doors for anyone with mental health problems so they can participate fully in society by reducing stigma and increasing opportunities to get involved. We want anyone with mental health problems to be equal citizens in our society, and to be confident in disclosing their mental health problem too. in average levels of discrimination reported by people with mental health problems. This time period covers the whole of the first phase of Time to Change, our joint anti-stigma campaign with Rethink Mental Illness. Time to Change works with the media too. Over 190 people who work in industries including journalism and broadcasting said they would discuss and report more accurately about mental health thanks to their work. people with mental health problems influenced Mind’s work in 2012/13 by generously sharing their experience. Some of those experiences came from our members. 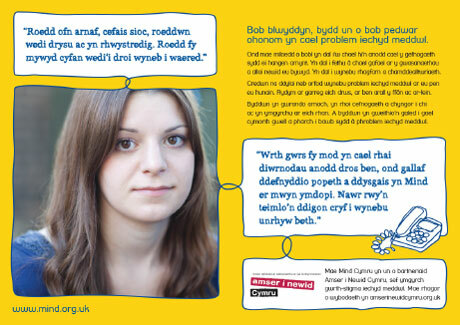 Getting involved with Mind as a member has a huge impact on peoples’ lives. Through Mind membership I had the first opportunity to talk openly about mental illness... a life changing experience. Mind works in England and Wales. It’s essential we’re talking in a language everyone understands. One way we do this is by creating bilingual documents. Another way we do this is by using Welsh to train our media volunteers. 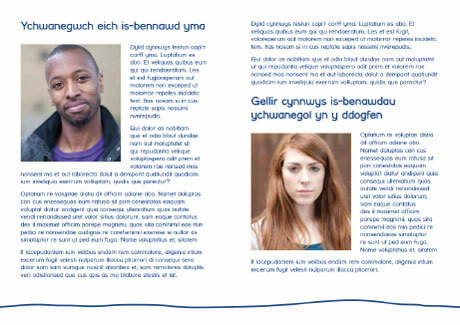 Thanks to funding from Estyn Llaw, 11 people now have the confidence to speak out in the media in Welsh. We have over 250 media volunteers in England and Wales who talk about their experience to journalists. Four Members of Parliament, who we've worked with closely, bravely talked about their own mental health in the House of Commons in June 2012. In Wales, four Assembly Members followed suit and initiated a debate in the Senedd too. In February 2013 the Mental Health Discrimination Bill became an Act – made possible because so many Mind supporters joined our campaign for change. people have looked after their mental health by joining an Ecominds project since the scheme began in 2009.
experienced a significant increase in mental wellbeing by the time they left an Ecominds project. It helps just by being outdoors in a beautiful place surrounded by wildlife, but then I’m also able to contribute something and I feel like it’s being valued. I’m not treated like a social outcast, I am respected and encouraged in all that I do here, and I love working with all the different groups. with the opportunity to build their confidence and gain new skills. Our shops raise valuable funds by selling clothes, shoes, and household bric-a-brac that’s generously donated by members of the public. We opened 12 more shops between 2012/13, in areas including Rawtenstall, Sheffield, Durham and Ware. We ended the financial year with 134 shops in total. We’re empowering anyone with a mental health problem to make informed choices about how they live and recover. We’re doubling the access to our information and support services, and supporting anyone with mental health problems to support each other so that people are empowered in making choices. We made our online information easier to read and download. The mental health information on our website was looked at 5.8m times. We started giving away our information booklets in our shops and via our local Minds, free of charge. We distributed over 230,000 booklets for people in need. Our helplines gave out advice and support to over 40,000 queries! of people who used our information were satisfied with it. said they felt empowered to make an informed decision about their next steps. I received some booklets free of charge to help me understand my psychological problem. I found the booklets extremely helpful and I am starting to understand why things have been going so badly. I feel stronger in myself. I have found out a great deal more about my symptoms. Thank you. We supported our Facebook ‘Elefriends’ to design and test a new social network which launched in February 2013. Elefriends.org.uk is now providing a safe place to listen, share and be heard for thousands more people struggling with their mental health. We’re supporting people who are more likely to develop mental health problems to stay well. We want to help over one million people to stay well as a result of our resilience work. people said their work life was either very or quite stressful. people had taken a day off sick because of stress. people had resigned from a job due to stress. Our Taking care of business campaign held its first interactive webinars. They have been watched by more than 1,000 line managers and HR professionals. Mind Workplace trained 4,400 employers and employees on topics including mental health awareness, anger management, confidence and self-esteem. of the people we trained said they knew more about mental health because of the training. who attended training said they would make positive changes to their wellbeing as a result. people in Mental Health First Aid (Wales) since 2008. Our local Minds are helping people to stay well too. For example, some are working with women in the later stages of pregnancy to help them build their mental resilience and stay well in the future. We’re working to make sure that people who experience both mental health and other forms of discrimination are treated equally. of the people they support are from BME communities. In other areas, we’ve been addressing some of the challenges faced by young African Caribbean men – a group that is often significantly over-represented within parts of the mental health system. In Manchester, our local Mind has been helping young African Caribbean men at risk of involvement with gangs. In Birmingham, our local Mind has been helping young African Caribbean men who’ve had problems with housing. In Suffolk, our local Mind has been producing more culturally appropriate material for the Muslim community. In London, our local Minds have been helping young African Caribbean men in contact with the criminal justice system. We’re making the most of our assets by building a culture of excellence and working with our partners to create an unstoppable momentum for better mental health. A commitment to diversity, equality and full involvement of people who have experience to share is at the heart of everything we do. The awards were our most successful yet. 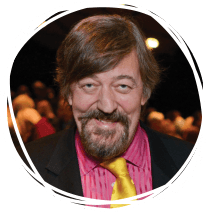 The Media Awards had 450 guests, including Mind President and host Stephen Fry. 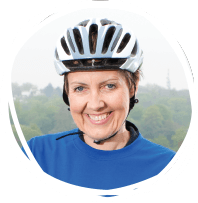 Aggie MacKenzie, How Clean is Your House star, who cycled from London to Paris in aid of Mind. Frankie Sandford, who joined Mind as a new ambassador. This is a time of great potential in mental health. It’s been an excellent year for us at Mind, in England and Wales. We’ve already achieved a lot this year. But, there’s still much to do. We won’t give up until everyone with a mental health problem gets both support and respect. Once again, despite the challenging economic climate, Mind had another good year, leaving us in a strong financial position to face the future. Expenditure was slightly more than income due to restricted funds for charitable activities received in 2011/12 and spend in 2012/13. Expenditure was slightly more than income due to restricted funds for charitable activities received in 2011/12 and spent in 2012/13. Mind brought me back from the edge. Without them, I don’t know how I would’ve found a way out. They helped me change the course of my life. To everyone who supported us in 2012/13. We couldn’t have come this far without your help. Mind’s registered charity number is 219830.